Having observed Ramadan ever since I could remember, I can tell you one thing without a doubt. Ramadan in Dubai gets luxurious year after year. But what doesn't change is the brilliant Arabian hospitality. I have my go-to venues for iftar/suhoor and while they are all luxurious in nature, I have a favorite that tops every other place (at least for now). The iftar at The Address Hotel, Dubai Marina meets expectations year on year. Hosted at the Constellation Ballroom, the venue reflects an Arabian theme with intricate detailing within the interiors. 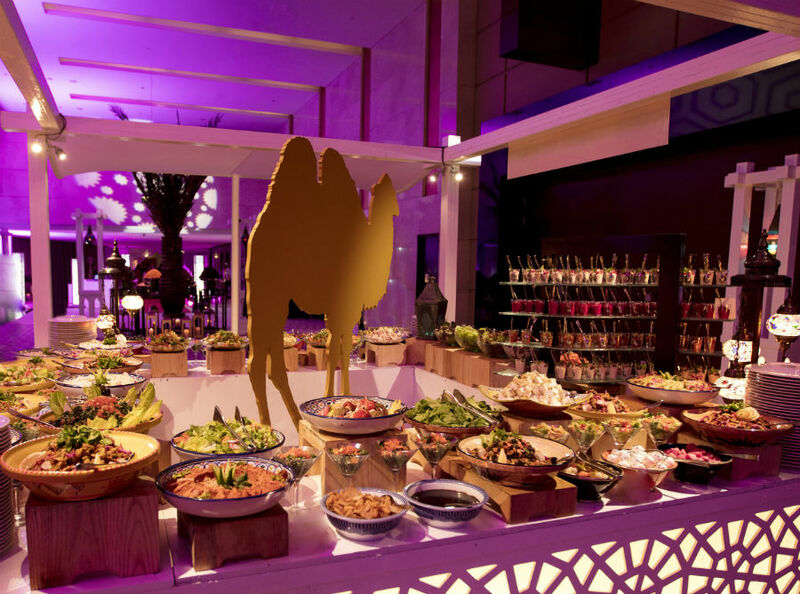 The iftar buffet plays host to traditional Arabic cuisine with a bit of global flavors thrown in. 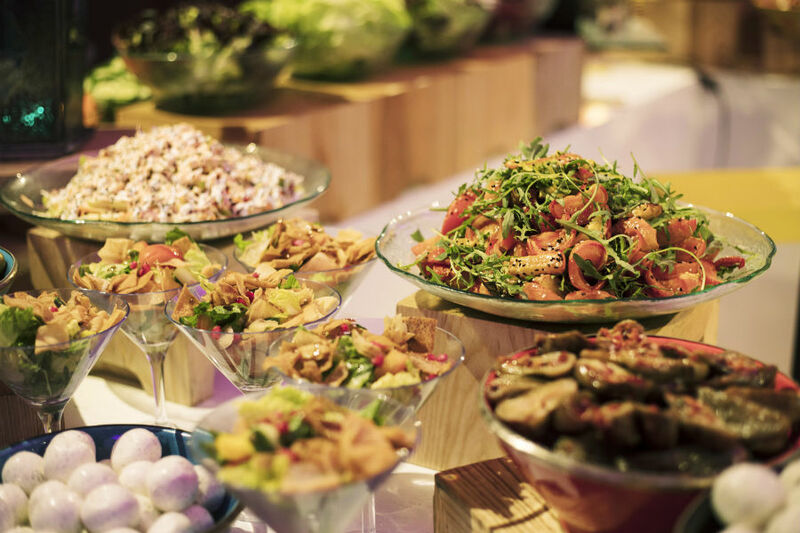 The iftar buffet that starts with cold and hot mezze (appetizers) with hummus, moutabal, fatayer, and the likes, extends to a variety of soups, salads, live grills station (chicken, lamb, beef) including a section to appease the seafood lovers (sushi, anyone?). The main courses featured a selection of Arabic, Chinese and Indian cuisine- think freshly prepared Lamb Ouzi, aromatic Biryani, dumplings, and an array of other dishes that will leave you spoilt for choice. I did tuck into sushi, chicken dumplings (my favorite! ), the Lamb Ouzi- all of which were delightful to savor. The meat (be it lamb or chicken) was cooked to perfection and so was the accompanying flavored rice. The desserts station had be stoked. 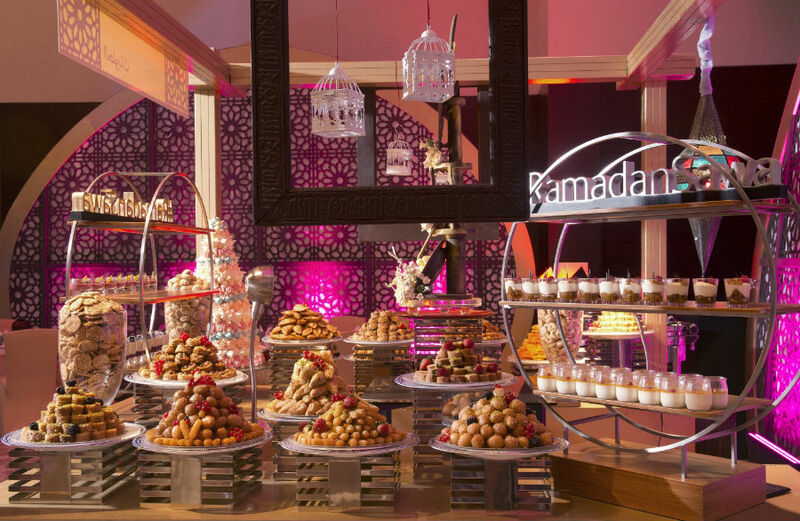 You only get to see such a lavish display of numerous desserts either during Iftar/Suhoor or during a wedding and The Address Hotel sure knows how to set up one. They went all out with the traditional crunchy Bakhlavas, towers of macarons in various flavors (must try are chocolate and pistachio), Mango Pudding, Chocolate & Cherry Verrine, Raspberry tarts, Irish Coffee Cake, Turkish Delight, Knafeh and a host of other desserts. Truly a delight to dine at the Constellation Ballroom this Ramadan. I'd definitely give this venue 5/5 stars for its ambience, quality and variety of food along with the hospitality. 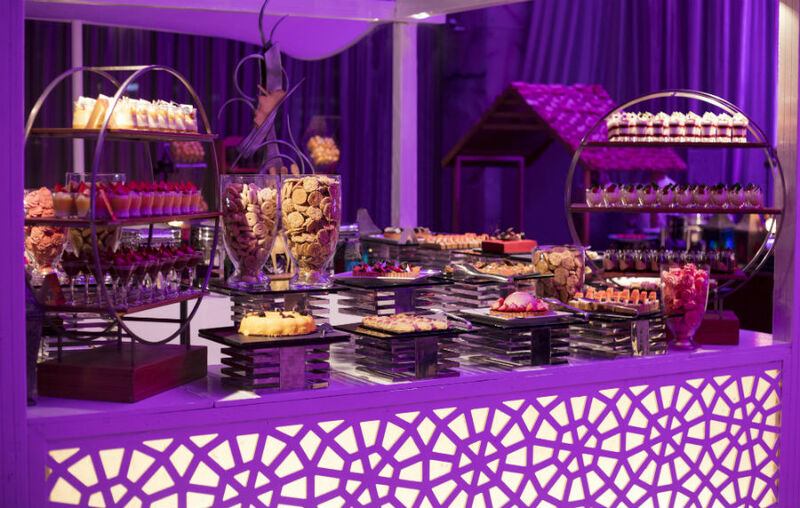 Iftar at the Constellation Ballroom, The Address Hotel, Dubai Marina is available from sunset until 9pm, priced at AED 220 per person and kids aged 5-12 years at AED 110 per person. Book a table by contacting 04-436 7777.